This FT article talks persuasively about the risks of groupthink and the importance of involving the wider team in the decision making process. These are good principles for work in general, not just leadership. 1. "Tone from the top": This has always been much easier to talk about than to define, while also falling into the “necessary but not sufficient” category. In some ways, what we currently know about the ball-tampering runs counter to this argument, but it does demonstrate the importance of what people do over what they say. 2. Accountability: If we see the captain in cricket as the team's CEO, it helps explain where accountability sits. But the coach and governing body still have some explaining to do - the wider cultural issues everyone is now talking about weren’t exactly a secret. However, we’ll have to wait for the full investigation to judge how SMCR might have worked in this instance! 3. Independence: In financial services, it’s obvious that conflicts of interest are ever-present and need to be properly managed, though doing so is a constant challenge. Through this lens, it's not clear that Cricket Australia is best placed to undertake the investigation, or that the ICC has sufficient authority to do so effectively. 4. Competition: This is very much part of the mantra of modern day regulators, and self-evidently an important factor in any healthy market. 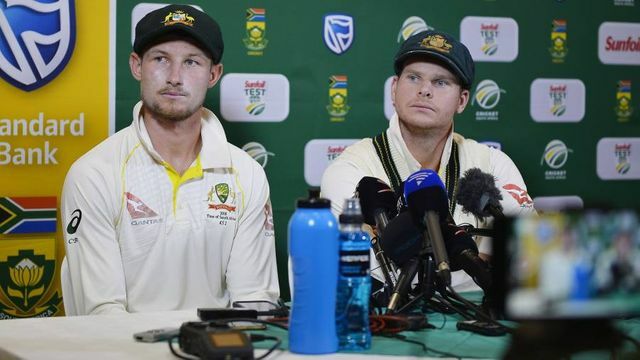 The current ball-tampering, however, presents an interesting case study of the dangers of creating an over-competitive environment, even when no performance-enhancing drugs are involved. 5. Playing to the ref: The truth is, there are always three levels of regulation in play, in business as well as sport. The first is self-regulation – a clear ethical/moral grounding, typically expressed as simple broad statement, from notions like “fair play” and the “spirit of the game”, to “trust and integrity” and "my word is my bond". The second is independent regulation, in this instance represented by umpires and by the ICC, with its one game bans and 75% match fee fines. The last is the famed court of public opinion, fully on display here as it was, taking an FS example, in the reaction to Barclays LIBOR fine. The obvious conclusion in both cases is that if you neglect the first level (however you define the concepts involved) and rely too much on the second, then you risk backlash from the third, with all its unpredictable but ferocious force. None of this is simple and there are a few obvious qualifications... International cricket as a whole should be more competitive... ICC sanctions should be more severe for this sort of offence... and (linked), sports governance generally is weak and unbalanced. More on these another time. We talk a good deal about values, purpose and outcomes but it’s not always evident how these are actually woven into day to day choices. The ball-tampering scandal provides a window into some of these choices and how professed values can be eroded in an environment where “winning” matters so much. Business and regulators now search fairly widely, notably in sport, for good practice. As this episode demonstrates, they could just as valuably look for examples of what to avoid.